SURVCO Credit Card Ax: has 21 functions (flat head driver, wrench, seatbelt cutter, tomahawk, knife, scraper, shovel, nail puller, and more). Easily fits in your wallet. SOG SYNC II: attaches to your belt and gives you access to a blade, bolt/nut gripper, crimpers, file, pliers, and wire cutter. 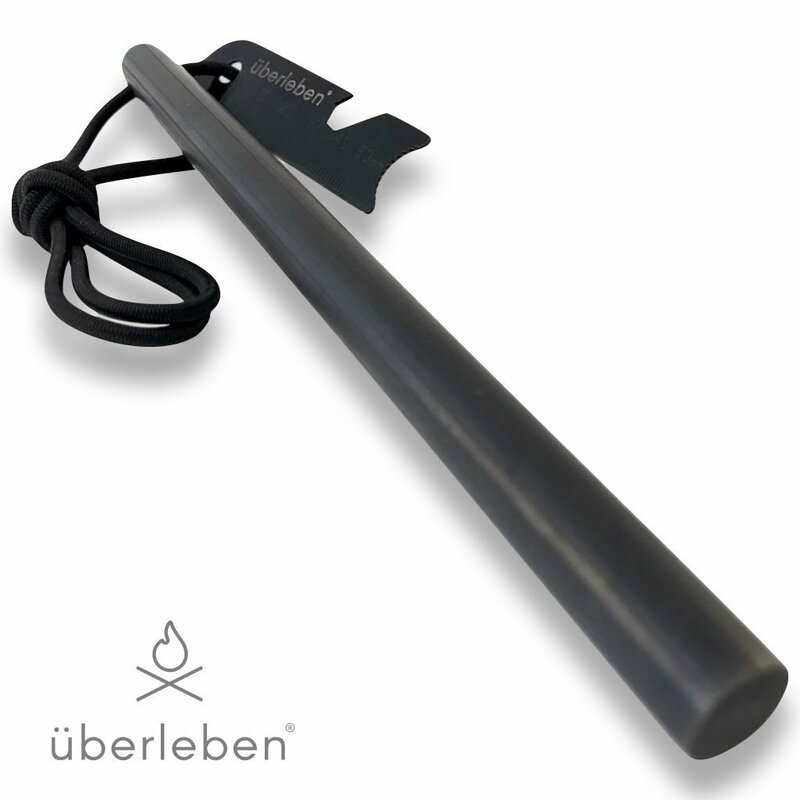 Firebiner: a fire-starting multi-tool with a stainless steel blade for cutting paracord and strings. Its spark wheel helps you start fires easily. 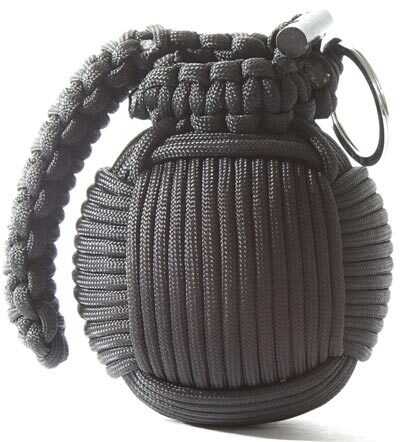 Holtzman’s Survival Paracord Grenade: has 48 pieces to get you unstuck outdoors (including fishing hooks, split shot weights, can opener, matches, compass, LED flashlight, and 45 ft. of 550 paracord). Trucker’s Friend: an off-grid multi-tool with everything you need to cut branches, tackle tough ice, pry nails, and more. It serves as a hammer, spanner, curved ax, and lever. RattlerStrap Survival EDC Belt: has UV/water/wear resistant properties. Contains 80+ feet of cord, so you can build a stretcher, make a shelter, and a do a whole lot more with it. OGT-SA100 Survival Axe: it comes with 30 features for off-grid activities, including a resharpenable blade, hammer head & claw, and various hex sockets. KLAX Multi-Tool Axe: replaces 7 tools. Made of stainless steel, this axe head has a hammer head, hex wrench set, bottle opener, knife, 2-inch ruler, and cutting hook. 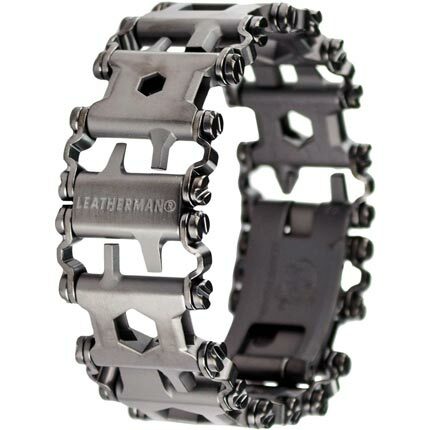 Tread Bracelet: a wearable multi-tool with hex drives, wrenches, glass breaker, cutting hook, SIM card pick, and more. It is a collection of interchangeable links that provide you with a variety of useful tools. DoohicKey SkullKey Tool: a compact device with a scoring point, serrated edge, file, and Phillips driver. 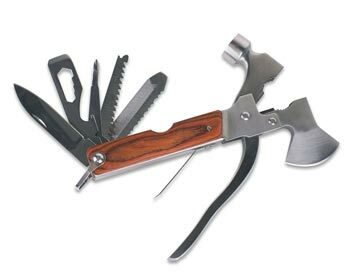 Stansport Emergency Multitool: comes with a hammer, knife, multiple blades, can opener, wire cutter, and other useful camping tools. 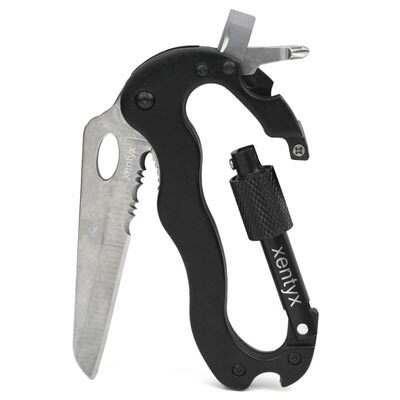 Xentyx Carabiner Multitool Clip: another useful multi-tool for camping. 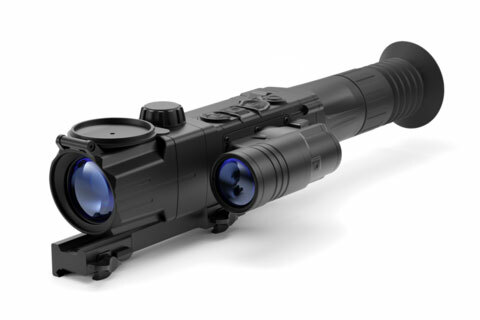 It comes with Philips and flat-head screw heads in addition to a knife. B.A.T. COIN: a coin-sized multi-tool with fire-rod scrapers, wire stripper, bottle opener, and screwdriver heads. S.O.L. : a collection of survival tools in a waterproof case, including fire starters, 150-pound-test braided nylon cord, stainless steel wire, and emergency sewing and fishing kit. 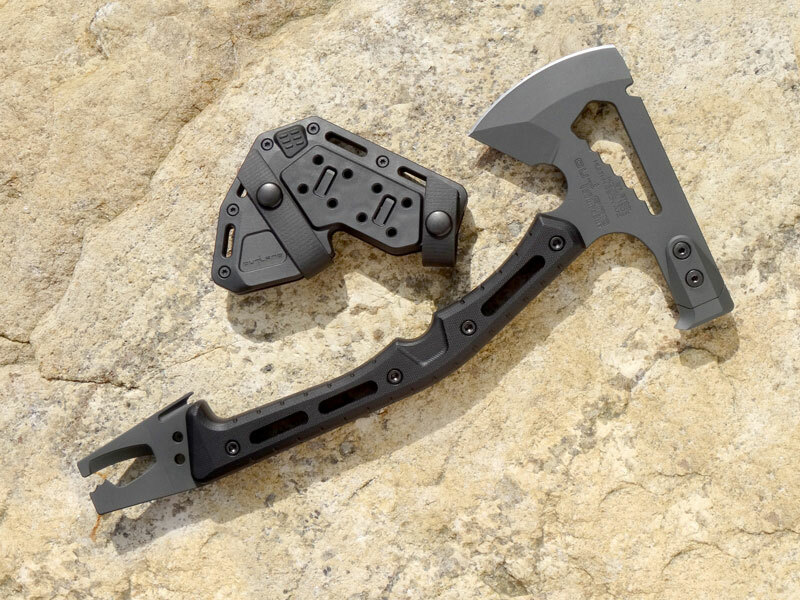 Multi-Mission Axe 1502: a compact rescue and survival tool with 3.9 inch blade, modular S7 steel hammer, seat belt cutter, and hex nut tool. 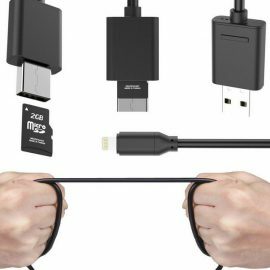 It has multiple grip positions. 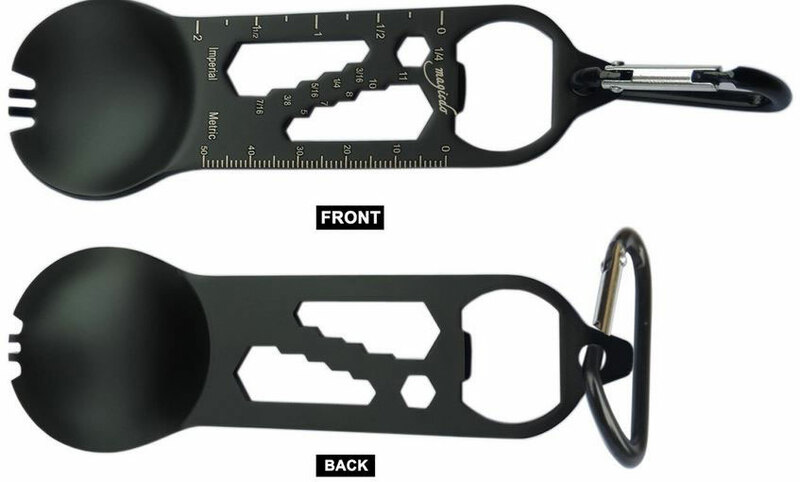 Magicdo 11-in-1 Survival Multitool: has a spoon, bottle opener, wrenches, and rulers to get you unstuck when camping or hiking. 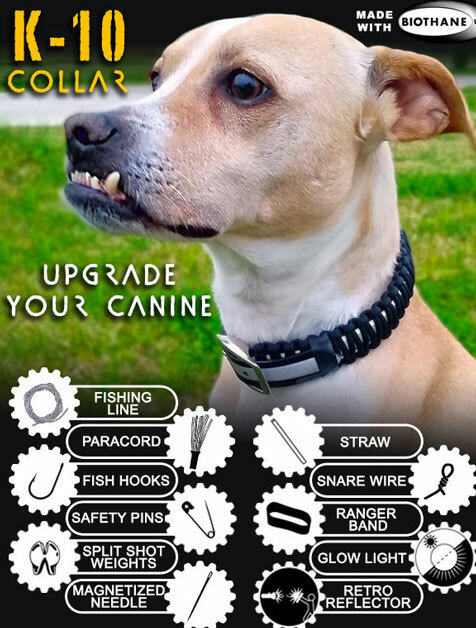 K-10: a paracord survival dog collar that comes with brass snare wire, straw, magnetized needle, glow light, eagle claw hooks, and more. 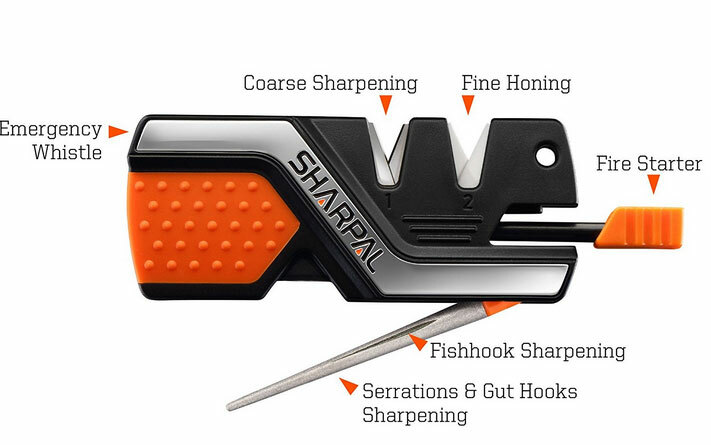 SHARPAL 101N: a 6-in-1 knife sharpener and survival tool with a built-in fire starter. Prep Packs Survival Belt: a wearable survival tool with a buckle to carry a knife, flashlight, and other tools. 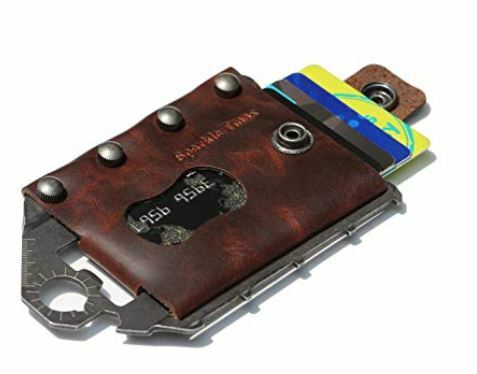 RumbaDock 14-1 Survival Multitool: as the name suggests, this credit card tool has 14 functions, including a Morse code tool. Survival Compass: this wearable gadget comes with a light, compass, and clock. It is waterproof. 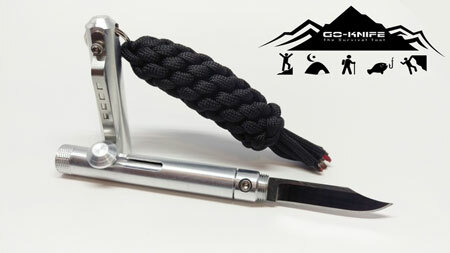 Go-Knife: a 9-in-1 tool that works as a knife, flare launcher, firecord, and fishhook. It is made from billet 7075 aluminum while the blade is constructed from 440C hardened stainless steel. BangTi 10 in 1 Utility Shovel: a 15-in-1 tool that can be used as a shovel, cutting knife, saw, ax, kitchen knife, and bottle opener. It can also be used as a window breaker. 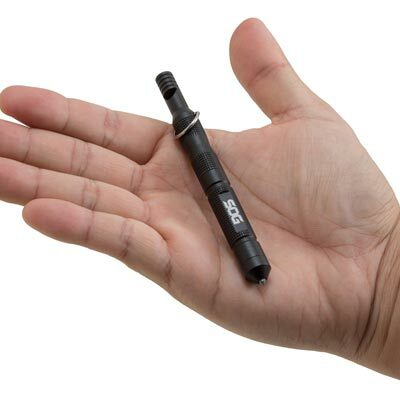 Sharktooth: a tactical utility pendant that serves as a wrench, arrowhead, saw, knife, and hammer punch. RumbaDock Credit Card Tool: comes with arrows for archery. You get barbed fishing hooks, snare locks, and sewing needles. 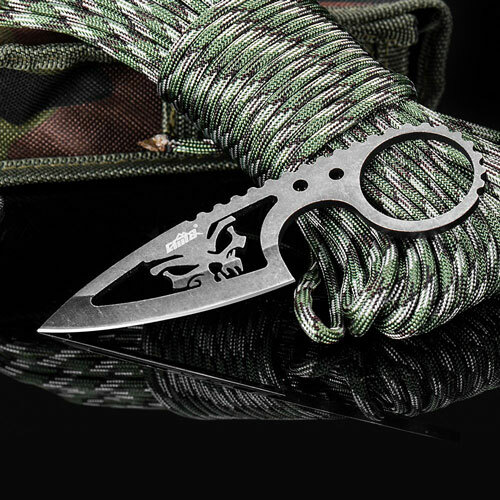 SPARtool: it has a 6″x 8″ shovel head with a chopping edge, saw blade, and bottle opener. 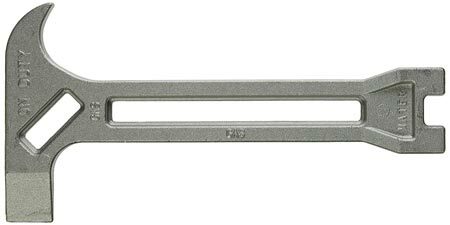 The handle has a flat pry bar, hammer, and 4″ pick. 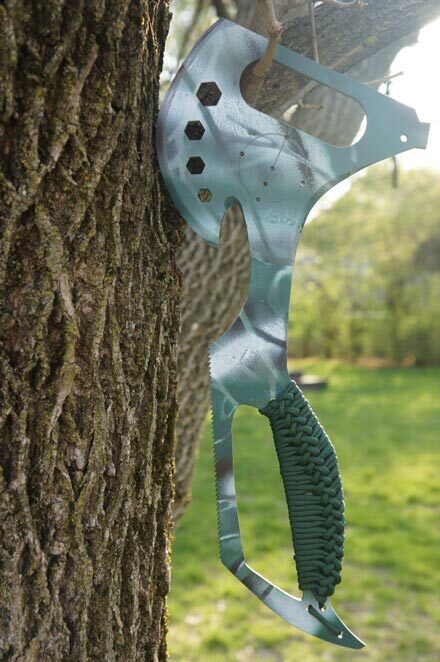 FROST Axe: designed for firefighters, this ax works as a windshield cutter, self rescue tool, and entry tool. 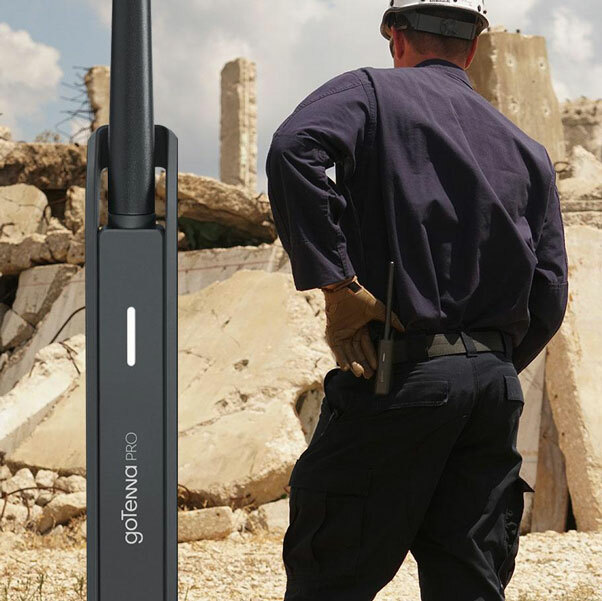 Emergency Gas and Water Shutoff 4-in-1 Tool: a multitool for earthquakes, hurricanes, fires, and emergencies. It can pry open doors, cabinets, and dig through debris. ZILLA: a custom axe with 15 different functions (sun dial, compass, axe, knife, hammer, pry bar, and more). It is made of hardened A36 carbon steel. Kniper: made of 420 high-carbon stainless steel, this tool works as a saw, nail remover, wire stripper, and throwing knife. Überleben Kräftig: a 6-in-1 toolkit with everything you need to start a fire, open bottles, cut things, do other things outdoors. 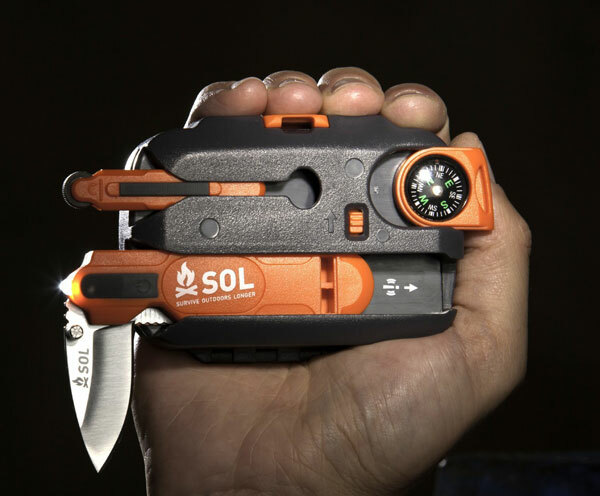 SOG Flint: a survival and self-defense tool with a glass breaker, fire starter, and safety whistle. 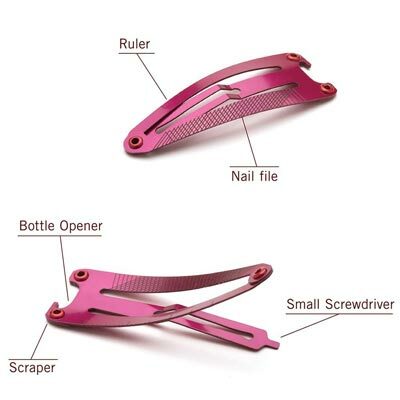 Hairclip Multitool: a hair clip that you can use as a bottle opener, screwdriver, ruler, and scraper. 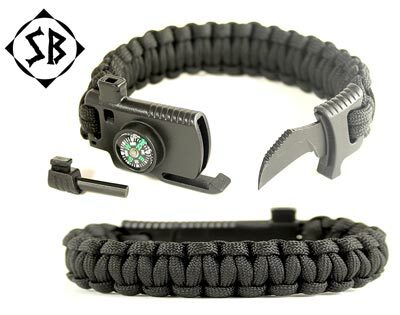 Survival Boom Paracord Bracelet: you get a firestarter, signal whistle, compass, and 11 feet of 350lb paracord. LighterBro Lighter Sleeve: has scissors, sharp knife, poker, and bottle opener. It is ready for hunting and fishing. Camelot Sitemaster 1: has a 43″ handle and works as a hoe, mattock, severing axe, and fire rescue tool. 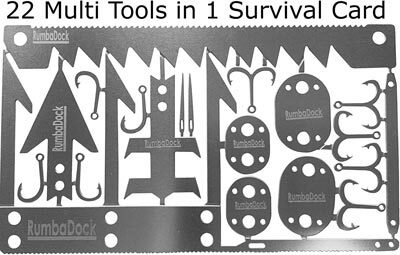 Have you found more useful survival and rescue multi-tools? Please share them here.